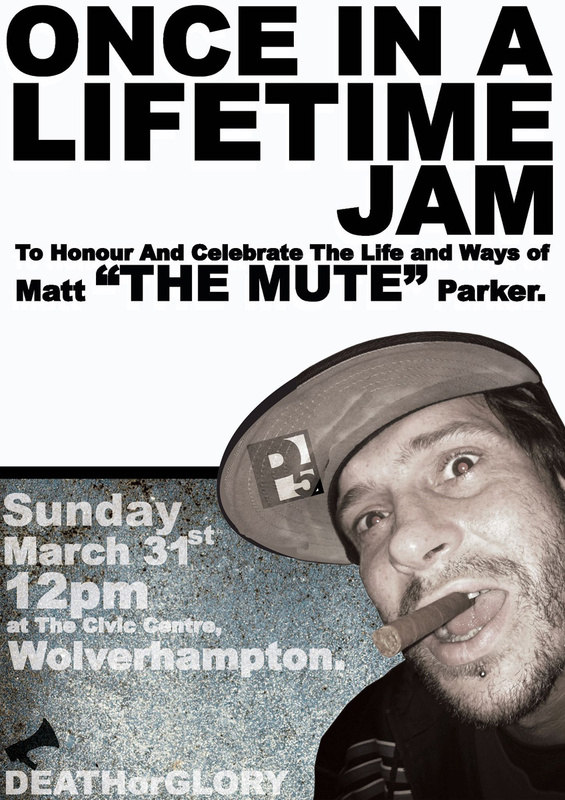 To honour and celebrate the life and ways of Matt ‘The Mute’ Parker a jam is happening at the end of March, be sure to mark that day down in your diary now and don’t miss it for the world. It’s happening on Sunday 31st March, 12pm in Wolverhampton. The meeting point is the Civic Centre, more information to be brought to the pages of Street Phire in the forthcoming weeks. This is going to be a great send off for a great guy!